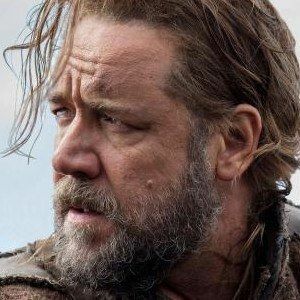 The first official photo from Darren Aronofsky's Noah has arrived, offering our first look at Russell Crowe as the title character. The film follows Noah, who lives on a vast plain of volcanic ash in the lee of a volcanic glacier and has to trek up a mountain every day to get to work. He is told by God to build a devine vessel to house both his family and the animals of the world to preserve them from a flood that promises to wipe out a sin-filled world. Here is your first look at mankind's savior.